The Lost Vape Therion DNA75c PREVIEW dives into the standard features and specifications of this new box mod. 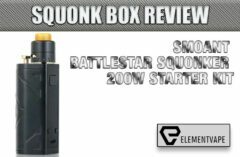 In the full review below we will repeat some of the information provided in the preview, but this review is the culmination of working with this box mod for more than a month, and will end with an unbiased assessment of the new Therion and the Evolv DNA75c board. With a selling price of $149.99 at Origin Vape this reinvented Therion Box Mod is easily the most attractive and technologically advanced mod from Lost Vape. Each ‘finish’ is unique, and no two are identical in every way. Lost Vape has designated a name for each ‘color finish’, though each of color/finish categories have unique patterns or ranges of color. 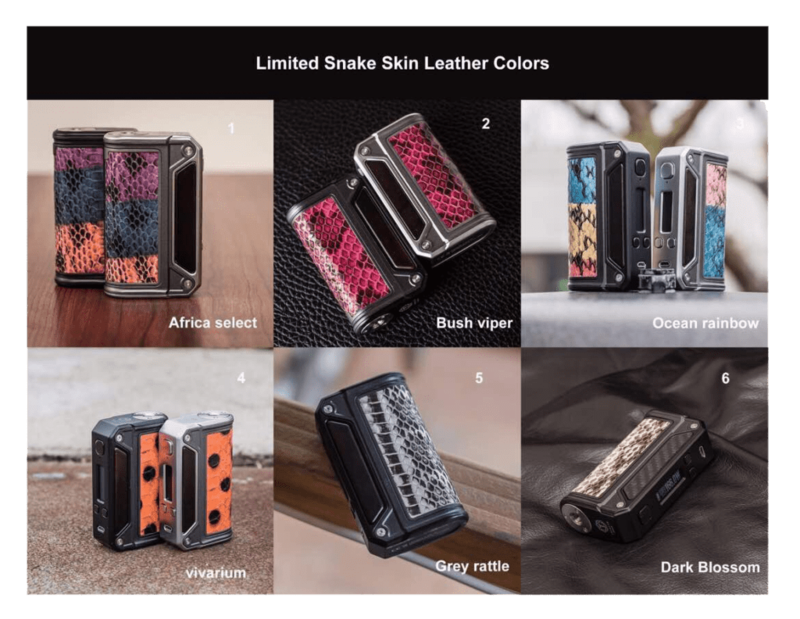 The Lost Vape Therion DNA75c is available in “Africa Select“, “Bush Viper“, “Ocean Rainbow” (mine), “Vivarium“, “Grey Rattle“, and “Dark Blossom“. Probably the first question that comes to mind for most potential buyers is something along the lines of “Is any box mod worth $150?”. Of course, I can’t answer that question for anyone other than myself, but it is worth talking about. If you consider the features and specifications of box mods from other brands among the plethora of box mod manufacturers that sell their mods for about a third of the cost of the new Therion DNA75c than it must be difficult to justify spending $149.99. Devices from SMOK, like the Alien 220W, GX2/4, T Priv, and even the SMOK G80, and G150, all offer high quality devices, with a wide range of ‘maximum wattages’, all featuring temperature control systems, truly give any Lost Vape mod and any Evolv DNA board a run for the money. 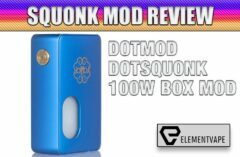 Truth is, whether the mod is made by SMOK, iJoy, Joyetech, Eleaf, WISMEC, and many more, these modestly priced, feature rich box mods are not in the same league as mods made by Lost Vape, YiHi, Revenant Cartel, and a handful of others. That’s just the way it is. 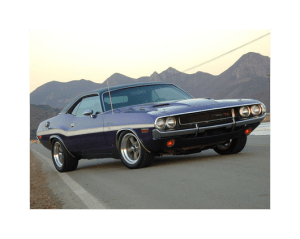 Dodge Challenger. The cost of my Challenger begins at $29,000 and to enjoy the features I wanted in my prize car, the cost came to $38,000. 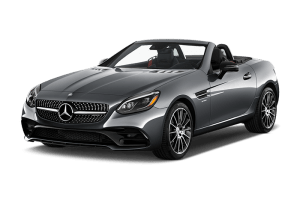 That’s not a lot of money to spend on a new car. My Dodge Challenger might not be John’s 1970 Dodge Challenger, but I wouldn’t give up my car for any other car on the road. 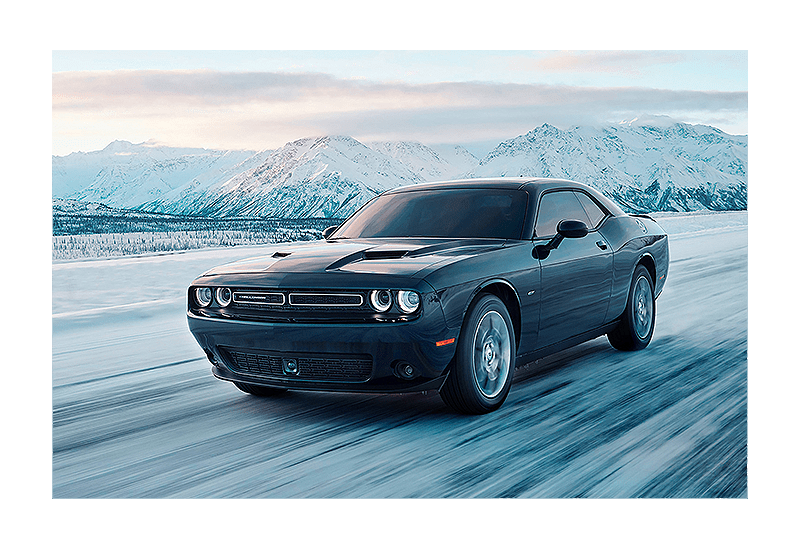 My Dodge is to the Car Industry as SMOK is to the Vape Industry. The Lost Vape Therion DNA75c is a magnificent, superbly designed and expertly built around the Evolv DNA75c. The “c” is for “Color Screen”, and while the color screen is the ‘attention grabber’ of this new DNA board, there is more to this new board than the screen. 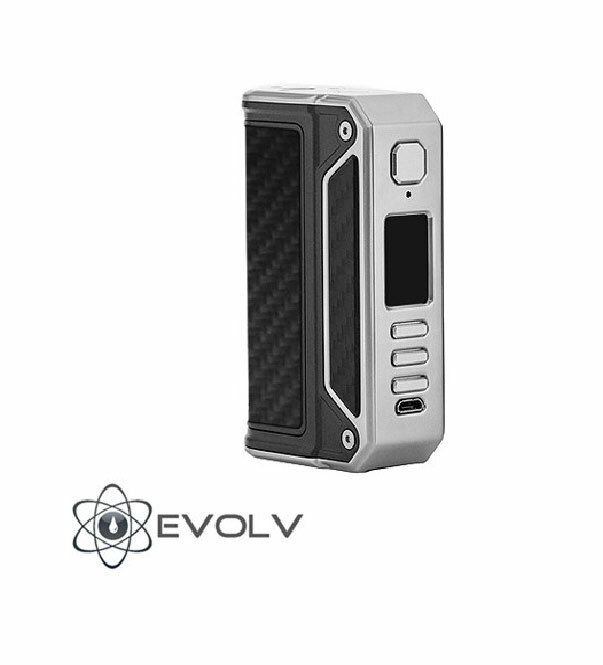 Mods that use any Evolv DNA board as the heart of the device have the advantage of serious customization through the software developed by Evolv call Escribe. 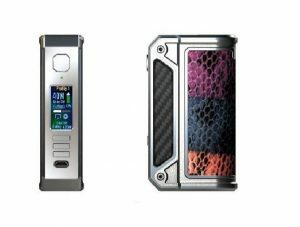 As a “PC-only” software, Evolv’s EScribe 2.0 and Theme Designer software is used to customize the Evolv DNA 75 Color Display and to set up custom profiles so the DNA Mod will operate the way the user wants it to, within the scope of the board’s ability of course. 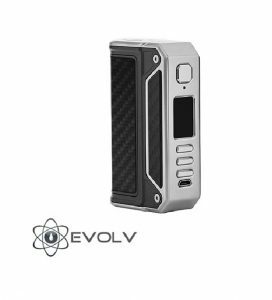 The Evolv DNA75c also includes a new way to navigate the Variable Wattage and Temperature Suite. It now sports a third button, the “Select” button, and it makes altering the settings easier and faster. In fact, after spending a little more than a month with the Lost Vape Therion DNA75c I can’t wait to replace all my DNA mods with new ones. Evolv is hard at work bringing the DNA250 up to date with that third button and color screen. As far as the Theme Designer goes, this new bit of software can create custom “themes”, backgrounds, text, colors, and more to the device. I’m not a designer, so while I know what it is and what it can do, I’ll wait until the Evolv DNA community posts a few hundred custom themes that are downloadable and free to use by DNA owners. 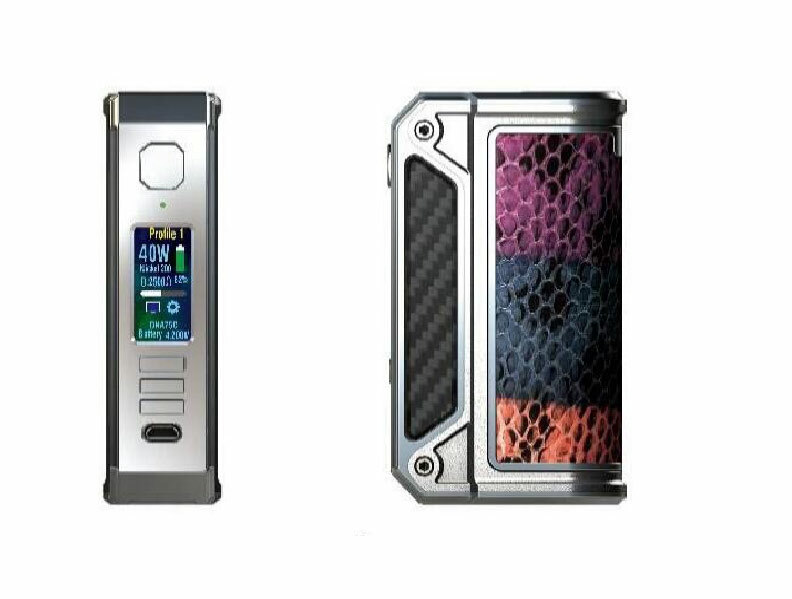 The Evolv DNA75c board in the Lost Vape Therion DNA75c utilizes Escribe to expedite changes to the TCR, and customizing the user interface with the Theme Designer. The screen is now enhanced for better visibility, even in bright or dark rooms. In addition to whiter LEDs, there are now three lines of display, with the lowest line revealing the type of heating material of the coil, such as KA for Kanthal. The previous board revealed voltage, which has been done away with in the new board. The new Standby mode is oh-so-close to an actual ‘off’ setting. Now, after the Therion DNA75c has been left alone for a while, the user will need to tap the Fire Button 4 times to bring into its proper operational mode. On the screen, the user will see tiny LED stars along the bottom of the display light up with each tap. The first tap reveals the time, date, and the Evolv logo, and above that in smaller letters/numbers/icon are the ohms of the current coil, the battery life (icon), and the battery life in percentage. (these can be changed within Escribe). The coolest thing, to me, about the new Evolv board is using the Select button to alter the settings. No more 3 quick taps to get into the menu. Now, tap the Select button, then the Up or Down button to move through the available options on each line, or use the down button after hitting Select to move to Settings. Hit Select again on Settings and dive into the menu. There is a lot the user can do without Escribe, but Escribe is still the best way to set custom profiles. And, if you’re like me and millions of others, Mac users cannot use Escribe at all, unless they partition their hard drive and install a copy of Windows on the partition. I don’t know about you, but I’m not about to give up 30GB for Windows, for one piece of software. The Therion box mod is as close to a work of art as ever. The battery covers are made with soft leather and wood detail. The most aggravating part of any Lost Vape Therion or Triade are these battery covers. They are beautiful, and durable, unless the user happens to spill vape juice on the leather, or otherwise damage the leather covers. As much as I love Lost Vape box mods, the fact that Lost Vape does not sell replacement covers for the Therion and Triade is maddening. It also doesn’t make fiscal sense. 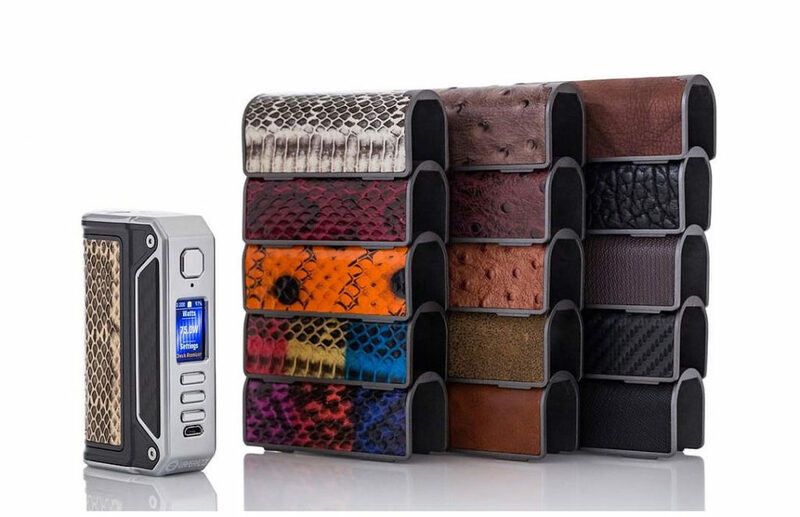 Certainly, Lost Vape doesn’t think for a moment that is a user destroys a leather cover he or she will go buy another device. It makes much more sense to offer these battery covers for sell so that anyone that buys the Therion or Triade can replace damaged covers, or collect all the colors/finishes to accessorize the mods for a different look. I’ve reached out to Lost Vape about this personally, and I’ve never heard back. The Lost Vape Therion DNA75c operates on two in-parallel 18650 cells. The cells can be charged through the mini-USB port or, as we recommend, using an external charger like a Nitecore or Miboxer charger. With the two 18650 cells the Therion maxes out to 75 watts, while the temperature control features with TCR availability extends the functionality for TC coils. Keep in mind the Lost Vape Therion 167 uses the same dual-in-parallel cells. If this DNA75c board can be firmware upgraded to a higher wattage down the road, the dual cells are ready to accommodate. In my collection of devices, I have several from Lost Vape. 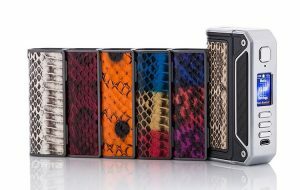 The Therion DNA75, the Therion DNA167, the Triade DNA200, Triade DNA250, and the Skar. If I am impressed enough with a high price mod I’ll spring for it. As for this one, the Therion DNA75c with Color and the Select button, I wanted it for two reasons; then new color finishes are gorgeous, and the color screen and select buttons are major improvements for Evolv. I had to know what the new DNA was all about. Now I wait for the DNA250C or perhaps a DNA300C, and I’ll certainly upgrade my Triade to the new color versions when I can. The Lost Vape Therion is a comfortable mod, it fits my hands perfectly, and using the buttons (especially now) are easy and pleasant to operate. Replacing the batteries are easy and quick, just pull off the battery cover. The ribbon makes easy work of lifting out the batteries from their tight compartment. There is nothing magical about the Therion DNA75c. The vape experience is identical to any other 75W mod. There are limits to the resistance of the coils. Any coil requiring more than 75W will feel the same limitation as any other 75W mod. The Therion measures 90.5mm x 54mm x 27mm. That 27mm diameter allows for many, many tanks and RDA’s, and will perform excellently as long as the coil resistance calls for 75W or less. The Lost Vape Therion DNA75c comes in a nice box with mini-USB cord for charging and eScribe access, a manual, and the device itself.